Let's have a great Monday link party! How was your week? Mine was yucky with a sick baby and now a sick teenager. We managed to have my son's birthday Saturday. Nothing fancy since I spend a week with a very sick baby. Fail! Anyways, let's have a great week guys! And a great Thanksgiving! 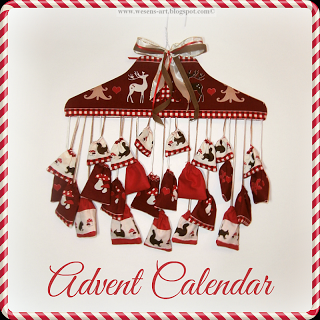 Last week I really enjoyed this advent calendar idea from Wesens art. Great craft and I have never seen this idea before. Very sweet! Have a wonderful week Isabelle! Thanks a lot for hosting. thanks so much for featuring my Advent Calendar and thanks for hosting this party. I hope your kids get well soon! Thank you for hosting your linky party for us. Hoping you have a wonderful Thanks Thanksgiving with your family.